The Czech book artist Vojtech Kubasta devoted more than three decades of his life developing the genre of Pop-up books. 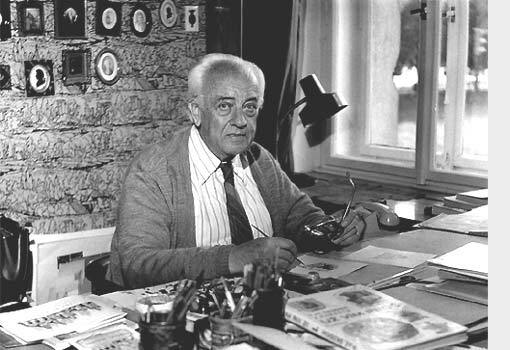 Although born in Vienna, Kubasta was raised and lived his whole life in Prague. He began to study engineering and architecture in 1938. In 1941 Kubasta began an apprenticeship in commercial art. He found employment as designer for plastic products through the German forces that were occupying the Czech Republic at the time. From this time on, Kubasta became increasingly busy as a book designer and illustrator. In 1956, Kubasta’s first Pop-up book, “Little Red Riding Hood” was published. The instant success of “Little Red Riding Hood”, and the many books that quickly followed, catapulted Kubasta to the position of feature artist in the famed ARTIA Verlags (publishing houses). His books catered to the export market whose demand for them led to many printings and sent his work throughout the world.